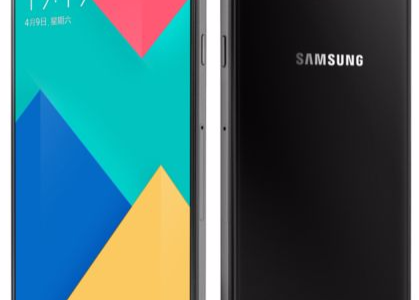 Samsung just released their latest A series smartphones, the Galaxy A5, Galaxy A7, and Galaxy A9 last January 2016. This April 2016, we expect another awesome release, the Galaxy A9 Pro (2016), the latest mobile phone from Samsung. I was already impressed with the excellent features of the Galaxy A9, so it is more exciting that an upgraded version will be released. What are the NEW and amazing features of the Galaxy A9 Pro compared to the Galaxy A9? What are the cool features that were retained? Let’s take a look. The Galaxy A9 Pro excels in camera resolution, battery capacity, and overall performance compared to the Galaxy A9. With these new features, the Galaxy A9 Pro is certainly a better smartphone compared to the Galaxy A9. The Galaxy A9 (Pr0) has a 16MP rear camera which can capture sharper and more detailed images than the Galaxy A9’s 13MP camera. Both cameras have the same autofocus feature, LED Flash, and OIS (Optical Image Stabilization) technology that ensures high-quality images. The front camera of both smartphones has an 8MP resolution. Another good feature of the rear and front camera of both smartphones is the large aperture size of F/1.9. The aperture size is the feature that adds dimensions to captured images. It is the feature responsible for blurring the background while focusing on the subject of the image. Compared to the iPhone 6s Plus with a smaller aperture size of F/2.2 in both rear and front cameras, the cameras of the Galaxy A9 Pro can provide better focus on the subject and more blurred background for a dimensional effect. In comparing the aperture size of cameras, the smaller the value (e.g. F/1.9), the larger the aperture size. One of the camera features that I also look for in a smartphone is the quality of video recording. If you are like me who likes to record high-quality videos, both the rear and front camera of the Galaxy A9 Pro and Galaxy A9 can capture Full HD videos. The battery capacity of the Galaxy A9 Pro is 5000 mAh which is significantly higher than the Galaxy A9. That’s a 25% increase! The Galaxy A9 already has an impressive battery capacity that can last up to 33 hours of talk time. That is already very long for compared to other smartphones. Since the Galaxy A9 Pro has the same display size and chipset as the Galaxy A9, we can safely assume that it can last for up to 41.25 hours of talk time. Seriously, that’s a lot! If the Galaxy A9 can last up to 18.5 hours of video playback, the Galaxy A9 Pro can last even up to 23.13 hours of video playback. Assuming each movie is 1 hour and 40 minutes long, that’s like watching 13 movies without charging. When it comes to internet browsing which takes the majority of time spent by most people on a smartphone, the Galaxy A9 can last up to 13.5 hours. But the Galaxy A9 Pro can last even up to 16.9 hours. That’s the amount of non-stop time that you can spend in Facebook, Twitter, Instagram, or any other website that you like without charging your battery. The RAM of the Galaxy A9 Pro is 4GB which is one of its best features. It is the same RAM size that can be found in Samsung Galaxy S7 and S7 Edge. The RAM of the Galaxy A9 is 3GB, which is already huge, but a 4GB RAM can do a lot more. The Galaxy A9 Pro runs on the latest Android 6.0.1 (Marshmallow). The Snapdragon 652 chipset is a mid-range chipset with super fast clock speed that can even match the LG V10. 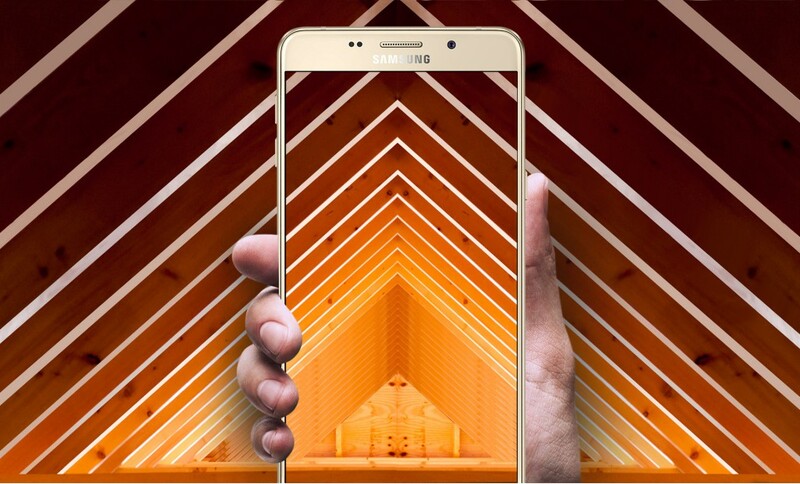 The same CPU and Andreno 510 graphics processor can be found in the Galaxy A9. Both the CPU and GPU are already super fast so you will definitely like this smartphone’s performance especially if you like to play games with heavy graphics. The Galaxy A9 is already a great smartphone on its own. There are many awesome features in the Galaxy A9 that were included in the Galaxy A9 Pro. Let’s see these cool features. For a 6-inch display smartphone, the display quality is for me, the most important feature that should be looked into. The Galaxy A9 Pro’s display definitely passes my standard. Not only because the display resolution is Full HD. This is because, one, it has a 367 ppi pixel density, which surpasses even Apple 326 ppi Retina display. This means it’s sharper and crispier that the basic iPhone display. According to Apple, at 326 ppi pixel density, the human eye will not be able to see the pixels on a display at a normal viewing distance. Second, it uses the same Super AMOLED technology that the Samsung flagship smartphones use. I have always been a fan of the Super AMOLED technology display. This is because it makes the display more colorful and vivid than any other displays out there. I once played the same video file in an iPhone 6s Plus, side by side with a Samsung smartphone with Super AMOLED and the difference is very noticeable. The colors of the Super AMOLED display is more realistic and superb. It made the display of the iPhone look pale and boring. Apple knows this and it is a good thing they already improved the color saturation of their displays when they released the iPad Pro 9.7. Like the Galaxy A9, the Galaxy A9 Pro has the same metal frame which enhances the durability and sturdiness.When it comes to the display and back panel, they are both protected by a 2.5D Corning Gorilla Glass 4 which is twice the durability of a normal glass. If you are worried about the glass being slippery, based on experience, it’s not too slippery but you have to be careful as well. Both smartphones have the same height and width. The Galaxy A9 Pro is only slightly thicker at 7.9 mm compared to the 7.4 mm profile of the Galaxy A9. This slight increased may be due to the increased battery capacity. But despite the slight increase in thickness, a 7.9 mm profile is still super thin. The Galaxy S7 has the same 7.9 mm thin profile. With an 80.9 mm width, the Galaxy A9 Pro and Galaxy A9 are a little large for the grip, but that’s what you will normally have for a 6-inch smartphone. The Galaxy A9 Pro still comes with a 32 GB internal storage that can be expanded up to 128 GB through a mciroSD card. That is a huge storage capacity which is perfect for big files like movies. Combined with a huge battery capacity and excellent display quality, that’s non-stop entertainment anywhere you go. It also comes with a fingerprint sensor that only normally comes with the flagship models. Data security is one of the most important needs these days so this is one of the most excellent features that you can find in the Galaxy A9 and A9 Pro. The Galaxy A9 Pro has the same color variants such as Midnight Black, Champagne Gold, Pear White, and Pink. It also has LTE capability, Wi-Fi, Bluetooth V4.2, GPS with A-GPS, GLONASS, FM radio, Proximity sensor, Compass, Geomagnetic sensor, NFC technology, Light sensor, and Acceleration sensor. 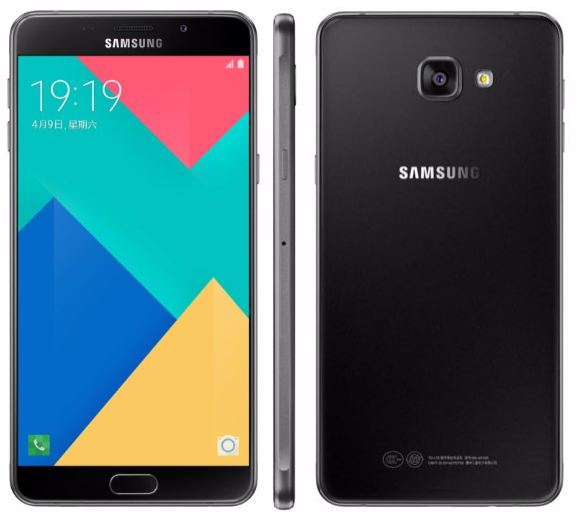 The Galaxy A9 Pro (2016) is an upgraded version of the recently released Galaxy A9 (2016). It has a higher camera resolution, bigger RAM, and a larger battery capacity compared to the Galaxy A9 (2016). The Galaxy A9 (2016) is already an awesome smartphone and the Galaxy A9 Pro (2016) is even better. What do you think of this latest Samsung smartphone? I would love to hear from you.